Musculoskeletal injures typically respond very well to physical therapy which can help in accelerating recovery and achieving optimal function. Orthopedic physical therapy uses a variety of treatments to reduce pain, restore joint range of motion, and strengthen and recondition the body to facilitate a safe and timely return to normal activity. Our orthopedic therapists will not only help alleviate your pain, but also discover the source of what may be causing your injury. Physical therapists use their hands to put pressure on muscle tissue and mobilize joints in an attempt to decrease pain caused by muscle spasm, muscle tension, and joint dysfunction. Our orthopedic therapists specialize in safe, advanced mobilization techniques to immediately reduce pain and restore function. Our orthopedic specialists have unique, advanced manual therapy training, and are skilled in effective, manual techniques that most therapists in the country have not performed. .
Massage therapy is an integral and especially effective part of physical therapy treatment. 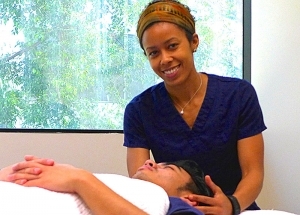 Massage therapy helps to decrease pain and stimulates circulation of blood to the muscles and the flow of lymph (the body fluid which carries impurities away and allows muscles to move more efficiently). Our orthopedic therapists will design an exercise program in order to increase strength, decrease muscle imbalance, improve balance and coordination, and correct movement dysfunctions, in activies such as walking, running, sports, etc. We will individualize your program with specific stretching, strengthening, and cardiovascular activities that your body needs. 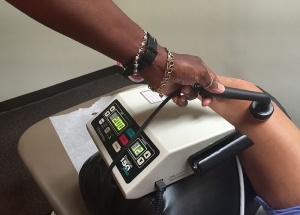 Available modalities include mechanical traction, electrical stimulation, ultrasound, moist heat packs, cryotheraphy, iontophoresis, and biofeedback.